February | 2011 | IXA Ready - Fist On! 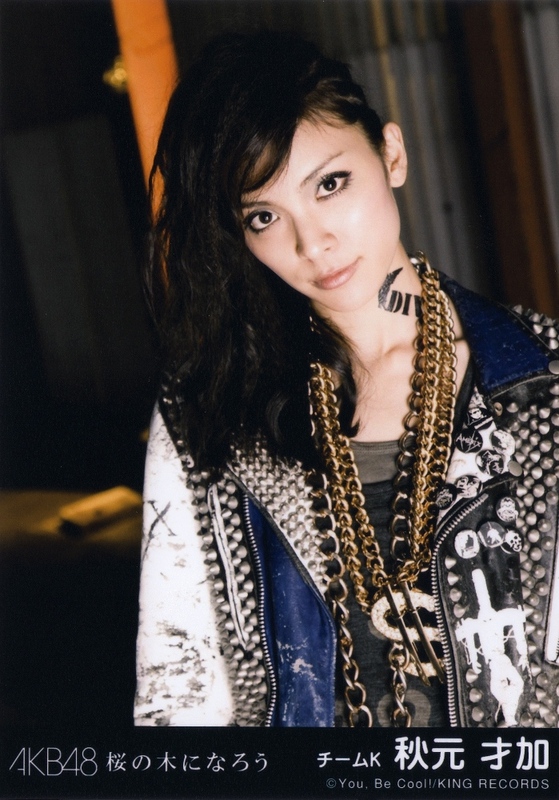 As you may all remember, Sayaka Akimoto resigned as Team K leader back in October due to a scandal in which a much older individual had stayed the night at her apartment even though the circumstances regarding the guy staying at her place was innocent according to her. Today saw Sayaka taking part in the Tokyo Marathon. She barely finished the course before the 7 hour time limit of the race came up. She did the course in 6 hours and 50 mins. Aki-P was suitably impressed with her effort and reinstated her back to her old position as Team K leader. I’m sure all of those in Team K are delighted with this news and so am I. I don’t think anybody else could have taken over and do as good a job as Sayaka. But that’s not the only news about Sayaka. She will be a part of a new 4-member unit called DiVA alongside her best friend Sae, Ayaka Umeda and Yuka Masuda. The foursome will release their debut single sometime this coming Spring. Yuko Oshima held a solo handshake event in Hong Kong yesterday where 1,200 fans turned up to see her. Yuko also performed 1 song live. She was also a guest at the HK Japanese Expo like event “C3 In Hong Kong 2011”. Over 200 fans even went to the airport to greet her as she arrived. I didn’t know that AKB48 was so popular in Hong Kong. I knew they had 1 official store there but apparently there’s another 1 as well. To celebrate the release of AKB48’s new album when it’s released on April 6th, there’ll be a big handshake and photo event at Chiba’s Makuhari Messe. It will not only be held once but 3 times in all on these dates – May 1st, May 8th and June 19th. But that’s not the only surprise on the cards. The whole AKB universe is going to be taking part! Yes that’s right – AKB48, SKE48, NMB48 and SDN48 will all be there. If you ever wanted to meet your oshimen in each group this is going to be the opportunity of a lifetime for you. Everybody all there under 1 roof. I hope I’ll be able to go on the final date – June 19th. With the 1st week of sales over and done with, what was the final figure for the first 7 days? Well, the single sold an incredible 942,000 copies to move up 1 place in the all-time best selling singles over 1 week to no.6. AKB48 are the first group/artist to break the 900k barrier in this century and also have the honour of being the 2nd group to achieve a streak of 7 no.1 singles. The last group to have the same level of success was Pink Lady and that was way back in 1978. AKB48 will have a regular TV show in a prime time slot on Thursday evenings at 7pm from April. 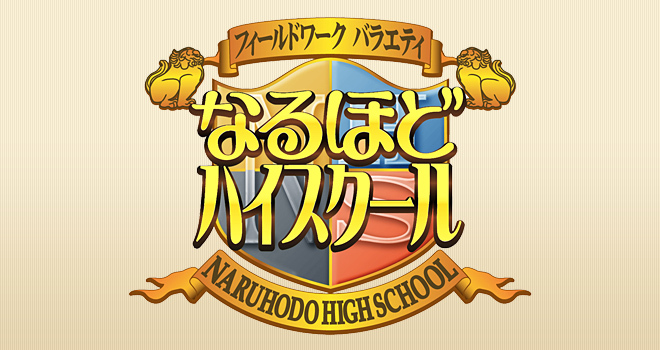 “Naruhodo High School” first aired 2 special programmes last year – the first in May 2010 got ratings of 8.0 and the second in October 2010 which did even better with 11.8. This has persuaded NTV to come to the conclusion that there’s potential in the show. I didn’t even know anything about these 2 previous specials, in fact I find it odd that they’ve slipped under my radar. I will have to track them down. “Naruhodo High School” which will have around 20 AKB48 members (no information yet as to who will be appear) is an information/variety show with the members doing some experiments and such. Is it something like Mythbusters? One half of the comedy duo London Boots – Tamura Atsushi will be a regular host along with some special celebrities dropping in from time to time. It sounds like an interesting show so I’m looking forward to it. The one-time future ace of AKB48 according to Aki-P a couple of years ago – Team B’s Manami Oku has announced that she’ll be graduating from the group in April. This hasn’t surprised me to be honest considering that she isn’t that popular. Maachan stated on the AKB48 official blog that she wants to go back to school and enter a university sometime in the future. I only realised this but Maachan has been in AKB48 since she was 10 years old and has never experienced school life. She’s missed out on a big part of growing up as a child/teenager in Japan. She feels that she’s been having doubts about being an idol in AKB48 – not really knowing what she wants to do. After consulting with Aki-P and staff, she feels it’s right to graduate this year. She further says that she’s caused some trouble and worry for people over the years (what does she mean by that?). Is it worry from her family as I’m not aware of any scandal as such that Maachan has been involved in. I haven’t exactly been a big fan of Maachan over the years but I valued her contribution to AKB48. It’s going to be strange not seeing her in AKB48 and at one-time she was a part of the old Team K (my favourite team ever!). The exact date of her graduation will be announced soon. Good luck to you Maachan in the future. EDIT: News of Maachan’s graduation has caused a right old rumpus on Stage48 where one forumite which I won’t name upset some others by saying not very nice things about Maachan. Having an opinion is one thing but not considering the feelings of Maachan’s fans is another. It wasn’t the most tactful thing to do.